Winter Groups are currently in session. Summer groups begin June 6, 2014. Registration available February 14, 2014. Fun, age-appropriate, interactive groups utilizing research-based curriculum. Groups are led by Marena Mitchell, a speech-language pathologist and, Sarah Eller, an occupational therapist. For groups larger than 6 children, an additional adult, with early childhood experience, will also be present during group activities to provide the necessary support. typically developing children and children with delays (speech, language, fine motor, gross motor, or cognitive delays). We will utilize a visual schedule, step-by-step communicators, and a communication device so that all children, regardless of their developmental level, can participate. 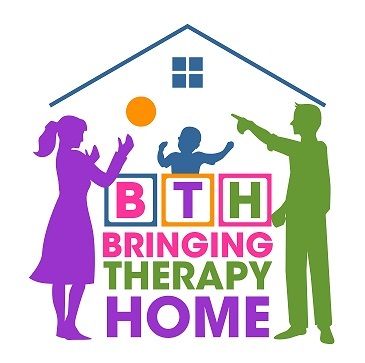 Each week, parents will be provided with a link through the Bringing Therapy Home website to view videos featuring the facilitators. Videos will describe the activity and skill targeted for the week along with tips/suggestions on how to carry-over the skills into the home and community environments. 60 minute group sessions meet every Friday, beginning January 17, 2014 for a total of 8 weeks. The cost for each group is $180. Each class size is limited to 8. 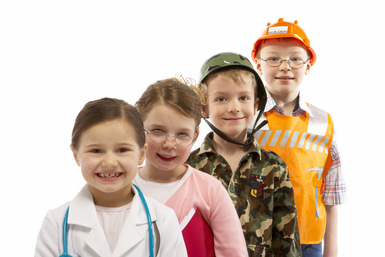 Your child may enroll in more than one group. can be made online (link is located next to the registration form). Once payment has been received, you will be provided with a receipt. Age Group: 3-5 years old Group Size: 8 children Meets: Fridays from 8:30-9:30 Cost: $180.00 for 8 sessions Children will learn specific social skills to improve their ability to interact with peers and adults. Social language concepts from Michelle Garcia Winner's Social Thinking program, Nita Everly's Early Social Behavior books and strategies from the Center on the Social and Emotional Foundations for Early Learning will be utilized. Each week, a new skill is targeted (skills are determined by the needs of the students in the class). Skills may include looking toward the person talking to you, turn-taking, using words to describe feelings, sharing, using an appropriate volume level, responding to unexpected events, appropriate behavior when with others, and defending themselves, etc. Each session begins with music and movement, followed by a large, interactive group activity to introduce the targeted skill. Each session will also include a "Make and Take" activity where your child completes an activity that they are able to take home. All "Make and Takes" will include visuals for the targeted skill to better facilitate generalization in the natural environment. Parents will be provided with a link to view a password protected YouTube video featuring the facilitators. A description on the weekly targeted skill and how to carry the skills over into the home environment and into the community setting. Each week, your child will interact with a children’s book. We have adapted the book using objects and pictures to increase comprehension of the concepts within the story. We will utilize music and movement, play, and interactive language groups to expand on the weekly skills. Skills such as positional concepts, vocabulary, making associations, increasing use of spontaneous language, answering questions, verbal turn-taking, and responding to peers using age-appropriate language will be targeted (lessons are created based on the needs of the group). Parents will be provided with a link to view a password protected YouTube video featuring the facilitators. The video will identify the book and an idea for how to carry-over the activity at into the home environment and into the community setting. targeted for the week. By the end of the fall session, your child will come home with a “solution suitcase” that will include visuals as a reminder of the solutions they can use when they encounter problems. Your child will engage in simple discussions, making predictions, turn-taking, and problem solving - all through play. Parents will be provided with a link to view a password protected YouTube featuring the facilitators on how to expand on the problem solving concept at home.